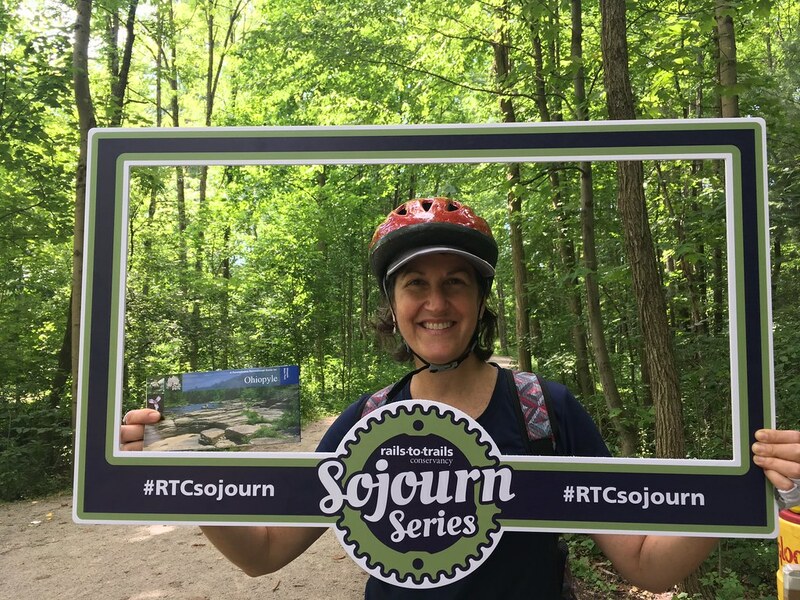 A few months ago, I began training for what my veteran team members called, “the rail-trail adventure of a lifetime.” This adventure, part of the 16-year-running RTC Sojourn Series, was to be my first bike tour—in fact, I would accrue several of my personal firsts on the trip—and you know what? So, what was the 2017 Pennsylvania Sojourn really like? It was: six days of glamping (glamor-camping) and approximately 175 miles of biking; a way to make nearly 200 new friends and learn how to weather all types of elements; countless laughs; and an unforgettable experience. But it also allowed me to travel western Pennsylvania in a truly immersive, on-the-ground and powerful way: by trail. Once railroad corridors, the iconic Great Allegheny Passage and Montour Trail allowed our group to explore Meyersdale, Confluence, West Newton, Cecil, and the other historic steel and coal communities they connected. Never having visited the Pittsburgh area before, it was eye opening to witness the effect trails have had—from the beautiful landscapes they link together to the historic sites they honor, and their positive impact on the local economy—and be welcomed by locals and tourists alike. RELATED: RTC’s 2017 Pennsylvania Sojourn Is Going to Be Awesome. Here’s Why. In addition to having the stamina to check off two trails from my bucket list, I was elated to have been able to make tons of wonderful memories with such an inspiring group of people. Though our motley crew ranged from people ages 9 to 83 who came from 30 states (plus Canada! ), we bonded over our shared time on the trail—pedaling up Mt. Davis, crossing the Mason-Dixon Line and the Eastern Continental Divide, dodging snakes and ducking downpours, seeing Pascal's Seated Torso in the town of Dunbar and beautiful waterfalls—and the time we spent off the trail just getting to know each other. I’ve put together an album of some of these special memories. Take a look to see what the sojourn was like for yourself!